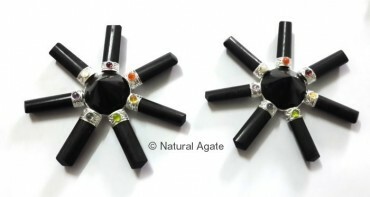 Black Tourmaline Generator will emit energy in all directions and negate all the harmful EMF radiations. It protects the user from any danger or harm. Keep it around electronic gadgets. Avail this generator from Natural Agate at a fair price.